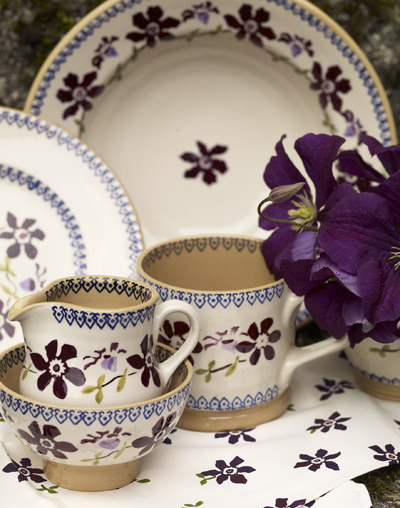 This beautiful Irish pottery is handthrown from strong earthenware, then each design element is applied separately with intricately cut sponges. 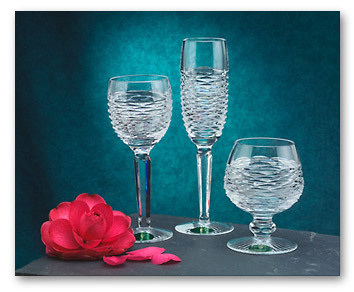 Heritage Irish Crystal is still made completely by hand in Ireland - mouth blown & cut by hand in the traditional method. It is characterized by its heavy weight, deep cutting and exquisite, diamond-like sparkle.